Rangers v Queen of the South – 10pm tonight! Tonight Rangers welcome Queen of the South to Ibrox which should provide a decent enough test for Rangers following convincing wins recently against Clyde & Dumbarton. Kick-off is 10pm and will be screened live in the Trafalgar via Rangers TV. The Rangers vs Hearts league opener from Ibrox will be shown live in The Trafalgar. It will Kick-off at 8:30pm local HK time. Rangers welcome Peterhead to Ibrox later today as we get back to league duty. Today’s match holds special significance as everyone involved has a chance to honour Remembrance Day. 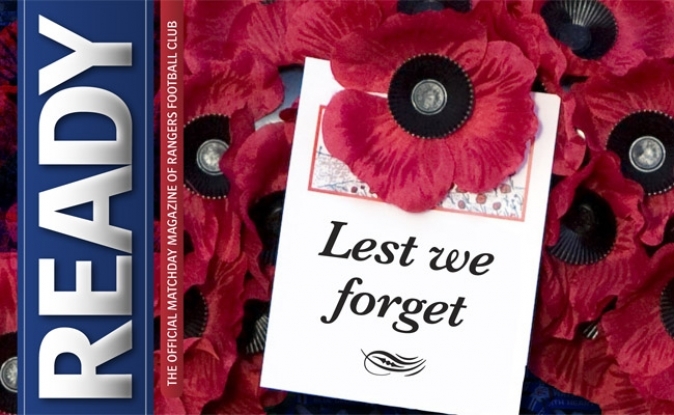 As in years gone by Rangers will once again host a card display to show the world how much we honour and respect all those that has made the ultimate sacrifice in the name of our freedom and liberty. Tonight’s match kicks-off at 11pm local time and will be shown live via Rangers TV in Amici.